Boston is gearing up to celebrate the 243rd Boston Tea Party Anniversary and Annual Reenactment on December 16, with actual tea from London to be thrown into Boston Harbor! This event only happens once a year. London’s East India Company, the same company from which the original tea came that was thrown into Boston Harbor during The Boston Tea Party in 1773, is shipping from London 220 pounds of expired loose tea to be again thrown into Boston Harbor. On December 16, 1773, more than 5,000 colonists met at Old South Meeting House to decide the fate of three shiploads of tea docked in Boston Harbor. Emotions ran high as the colonists bitterly denounced the British troops who occupied the city, the taxes the Crown imposed on everything from household goods to window panes. Especially hated was the tax on tea, a daily staple for the people of Boston. And there they sat, three ships carrying tea in the harbor, waiting to be unloaded. In a gesture of protest, the colonists refused to unload the ships. Threats were made by the representative of the crown. According to an eyewitness account by George Hewes, one of the last survivors of the American Revolution: “The ships…were surrounded by armed ships of war, the commanders of which had publicly declared that if the rebels, as they were pleased to style the Bostonians, should not withdraw their opposition to the landing of the tea before…the 17th day of December, 1773, they should on that day force it on shore under the cover of their cannon’s mouth. 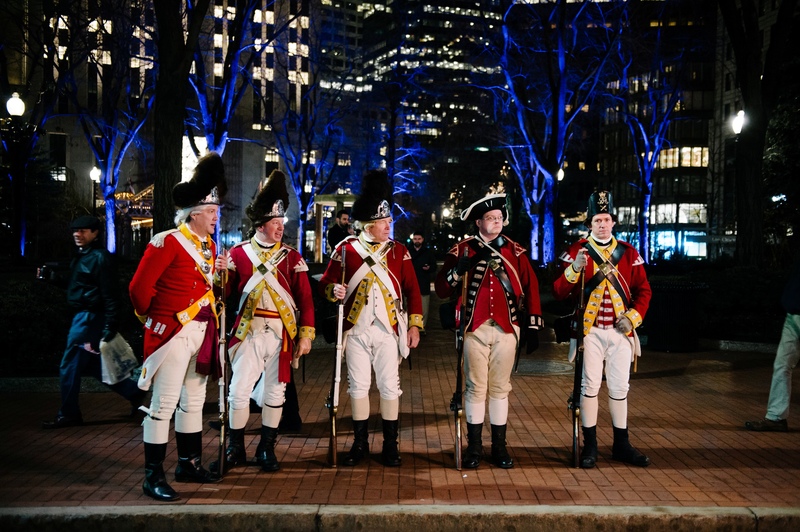 The 243rd Boston Tea Party Anniversary & Annual Reenactment will be presented on Fri., December 16, 2016 (the actual historic anniversary) by the Boston Tea Party Ships & Museum, located on the actual site where The Boston Tea Party took place, and the famed Old South Meeting House, the original building where the Sons of Liberty gathered for the iconic debate of ‘taxation without representation in British Parliament. This annual reenactment is one of the largest historical theatrical moving performances in the United States. 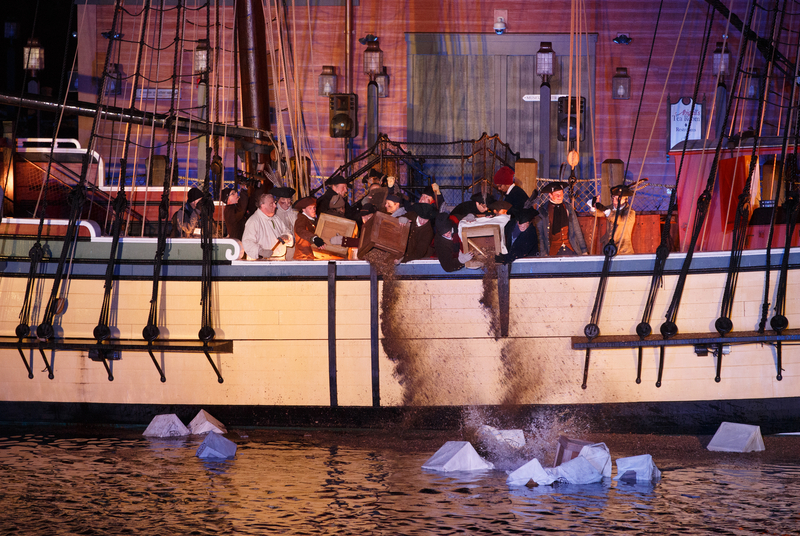 Hundreds of re-enactors bring the story of The Boston Tea Party alive and theatrically recreate the famous events of December 16, 1773. This is an opportunity to experience one of America’s most iconic public protests LIVE where it all took place 243 years ago. Last year, more than 600 people sold out the Old South Meeting House and thousands of spectators lined the waterfront to watch actual tea being thrown into Boston’s historic waters (which is free and open to the public). 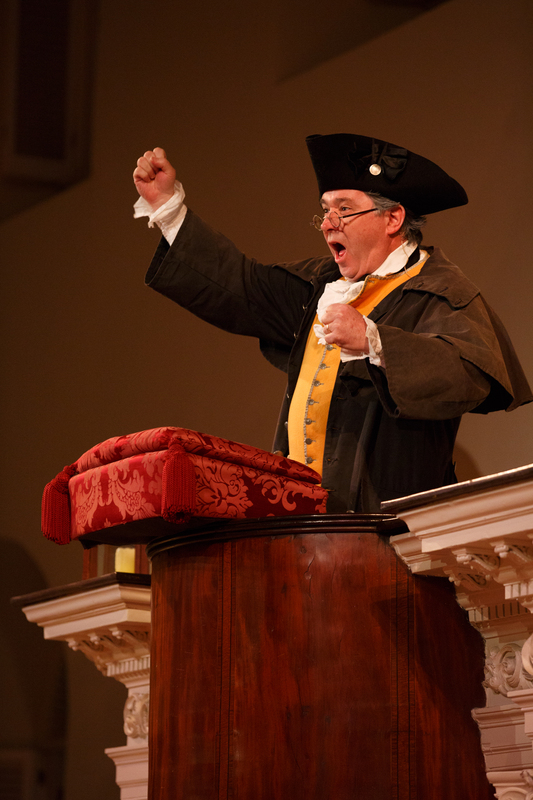 8:00 – 8:30 p.m. – Ends with a reenactment of the Sons’ of Liberty destruction of actual tea from the East India Company (the same company, still in existence today in London, from which the tea came during the actual Boston Tea Party) into Boston Harbor at the Boston Tea Party Ships & Museum. This portion of the event is free and open to the public. Many Boston hotels, restaurants and bars are offering a dose of patriotism with tea-inspired cocktails, packages and dinner available throughout the month of December and/or the evening of Dec. 16, 2016. This package is valid from Dec.1-31, 2016 and is based on double occupancy, blackout dates apply. To book, call Aloft Boston Seaport 877-462-5638. The hotel is located at 401-403 D St. This package is available Fri., Dec. 16, 2016 ONLY is based on double occupancy (must be booked by Dec. 14, 2016 to guarantee tickets). The package will be bookable as of Nov. 1, 2016 on www.bhh.com. The hotel is located at 70 Rowes Wharf. This package is valid from Dec. 1-31, 2016 and is based on double occupancy, blackout dates apply. To book, call Element Boston Seaport at 877-353-6368. The hotel is located at 391 D St. This package is valid on Fri., Dec. 16, 2016 ONLY and is based on double occupancy. To book, call Inn at Hastings Park at 781-301-6660. Transportation to/from the 243rd Boston Tea Party Anniversary & Annual Reenactment can be arranged upon request for an additional fee. Tickets to a Holiday Tea Party on Sun., Dec. 17, 2016 at the inn can also be added á la carte to this package based on availability. The inn is located at 2027 Massachusetts Ave. in Lexington, MA. Tickets for two (2) to the 243rd Boston Tea Party Anniversary & Annual Reenactment – available Fri., Dec. 16, 2016 ONLY. This package is available year-round and is based on double occupancy, blackout dates apply. To book, call InterContinental Boston directly at 617-217-5033 or 877-747-BOSTON. The hotel is located at 510 Atlantic Ave. overlooking the Boston Tea Party Ships & Museum. Harpoon Brewery is offering its annual Boston Tea Party Ale, available only in Boston, the month of December. Tea-infused cocktails such as Life & LiberTea, Tea Act, Green Tea Gimlet, Boston Tea Party Punch, Boston Tea Party Martini, The Sons of Liberty Daquiri, The Northeast Mojito and many more are available throughout Boston this December. For more information on the reenactment and on how to get tickets, visit the website.